What’s the difference between a condominium and townhouse? This week is “Condo Week” on the Sacramento Appraisal Blog, so we’ll be talking about condominiums throughout the week. Exciting stuff, right? It seems fitting to kick things off by discussing what a condominium is and how you can tell the difference between a condo and a townhouse (PUD) in the Sacramento area. Sometimes it’s not clear if a property is a condominium or townhouse though. How do you know the difference when these types of units can actually look very similar on the outside? The terms “condo” and “townhouse” are used interchangeably quite a bit too, which complicates things (sort of like “manufactured” and “modular”). There is usually an HOA managing the condo or townhouse development, but the big difference really boils down to a condominium owner not owning the individual parcel and a townhouse owner actually owning the land on which the unit is built. It’s still not easy to identify whether a property is a condominium or townhouse though sometimes, so let me give you a few pointers if you’re searching in the Sacramento area. These tips may or may not work in other areas. How can you identify a condominium in comparison to a townhouse in the Sacramento area? 1) Are the units called condos or townhouses by the development? This is the first step to identify a property. 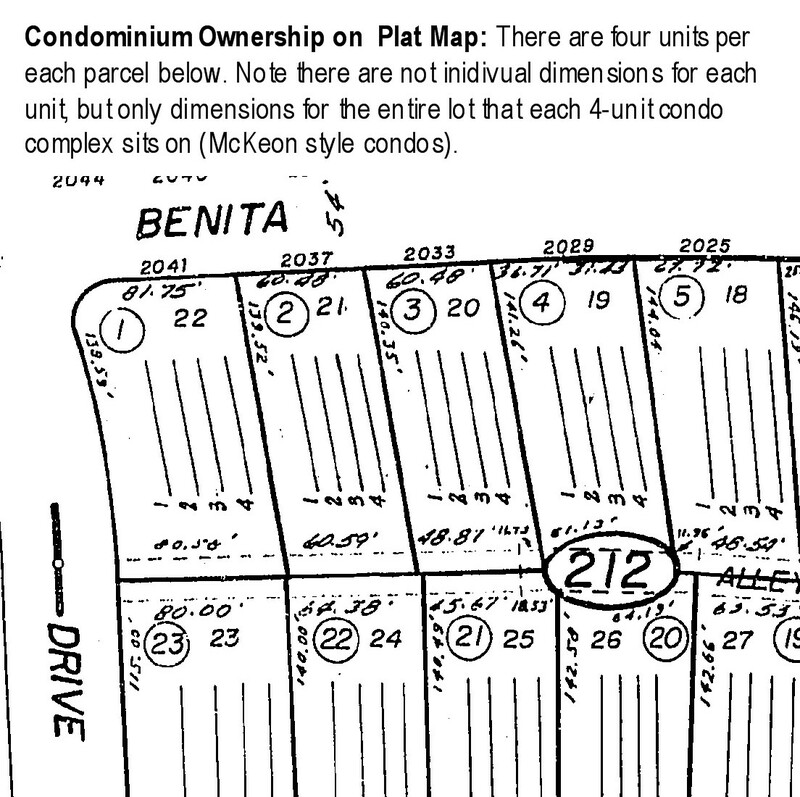 I know this sounds simplistic, but most of the time units are not called “condos” unless that is what they are. 2) Is there a lot size listed in Tax Records? If there is a lot size, this often means the property is a townhouse and not a condo. However, don’t use this “proof” by itself because many times condominiums actually have a specific lot size mentioned (even though they don’t have an individual lot). Ultimately, keep in mind that Tax Records is not the authority on determining what a property is and is not. 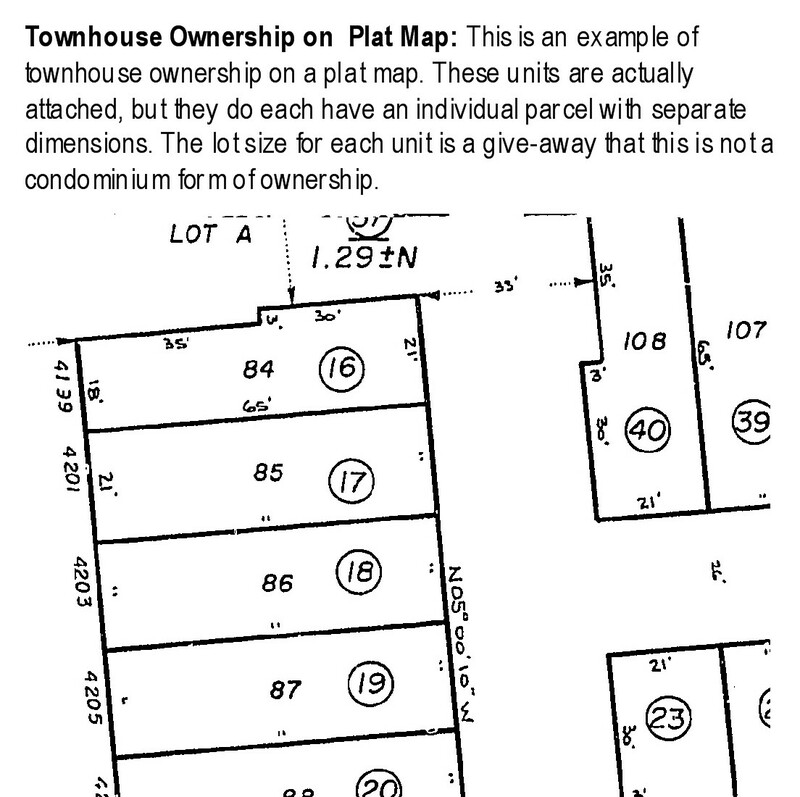 3) Does the plat map show specific lot dimensions for the individual unit on a parcel? If so, it’s most likely a townhouse PUD and not a condominium. This is an important indicator. The owner of the condominium does not have ownership of the entire site on which the unit is built, so there is no reason to give specific dimensions on the plat map for the lot shape. 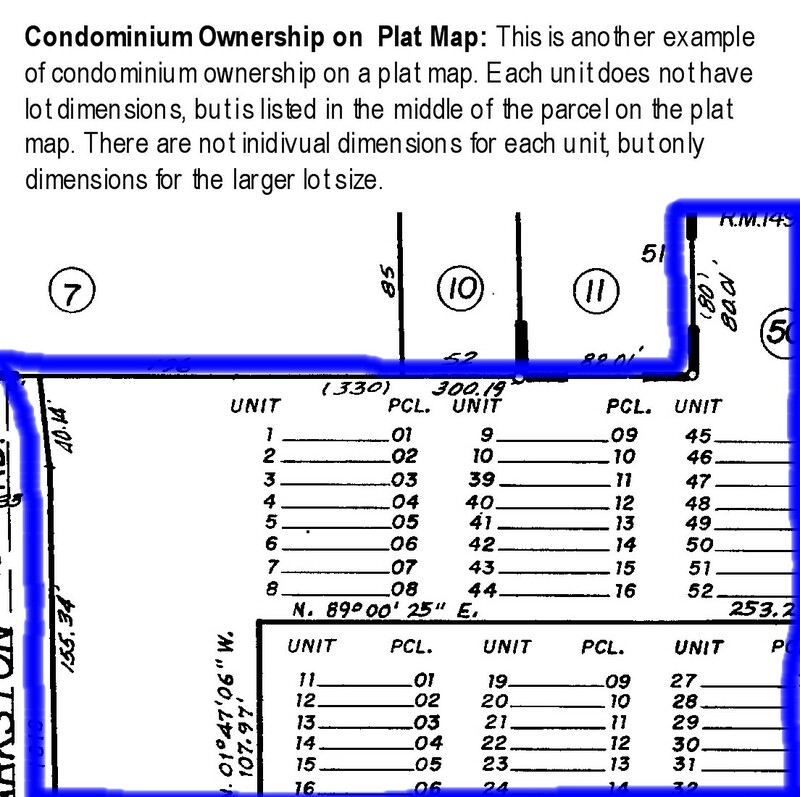 If an individual parcel is identified with dimensions on the plat map for the individual lot, it’s not a condo. Click the thumbnails to view larger images. 4) What does the local planning department say about ownership? 5) What does the preliminary title report say about ownership? This is the best source to identify what form of ownership a property has. How else would you describe the difference between condominiums and townhouses? How would you like to pay taxes on twice the value of your property? I just finished a property tax appeal today for a Sacramento condominium owner. This condo was assessed at $166,000 by the Sacramento County Assessor’s Office, but the actual value was $84,500. Have a look below by comparing the blue dot ($166,000) with the rest of the black dots, which represent all sales in the neighborhood. Isn’t that wild? This condominium was assessed nearly two times actual market value, which amounts to about $1,000 too much in property taxes for the home owner to pay. Condominium values have been hit hard in the past several years as the real estate bubble in Sacramento burst. Why? In addition to property values decreasing for condos just as value has declined for other types of property, crammed condo living and HOA fees have seemed less appealing for buyers who can now more readily afford a backyard of their own. If you have any questions about property tax appeals, or would like to have my property tax consulting company look up your property for free, call 916.595.3735 or see www.SacramentoTaxAppeals.com. What do you think of the property tax scenario above?